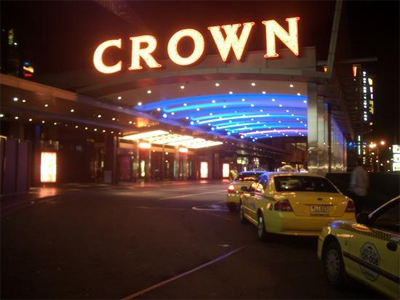 Following its successful results as a host to the Aussie Millions Poker Championship and various world-renown poker series, Melbournes famous gaming facility, Crown Casino, will soon play host to the Deaf Poker Australia (DPA) Championship for the first time. With its ever-increasing popularity among local players, the poker tournament in question will be a foretaste to the forthcoming Australia New Zealand Poker Tour (ANZPT) to be held in Melbourne from October 8 to 20. In any case, the DPA is marching towards its legitimacy as the biggest poker series in the southern hemisphere. May we remind you that this championship is exclusively dedicated to deaf and hearing-impaired players. Moveover, part of the prize pool will be used to benefit the Death Poker Australia charity. According to DPA tournament director, Landon Blackhall, this upcoming battle at Crown Casinos poker room promises to be a stun. The championship kicks off on Friday, October 9 with the DPA State of Origin II event. It is about a team event accessible from $ 700 of buy-in, and will see players from different cities in contention. The highlight event remains the $ 125 buy-in No-Limit Hold'em Main Event to take place from Saturday, October 10. This 7th annual DPA championship is expected to seduce more than 150 entrants. It is still worth noting that the three previous DPA champions are women. In fact, the DPA has always been a genre-friendly poker battle. It enjoys a promising female-to-male participation rate from 10% to 25% of the total field, Landon Blackhall quoted.